I love seeing what’s in other people’s bags– a common curiosity. 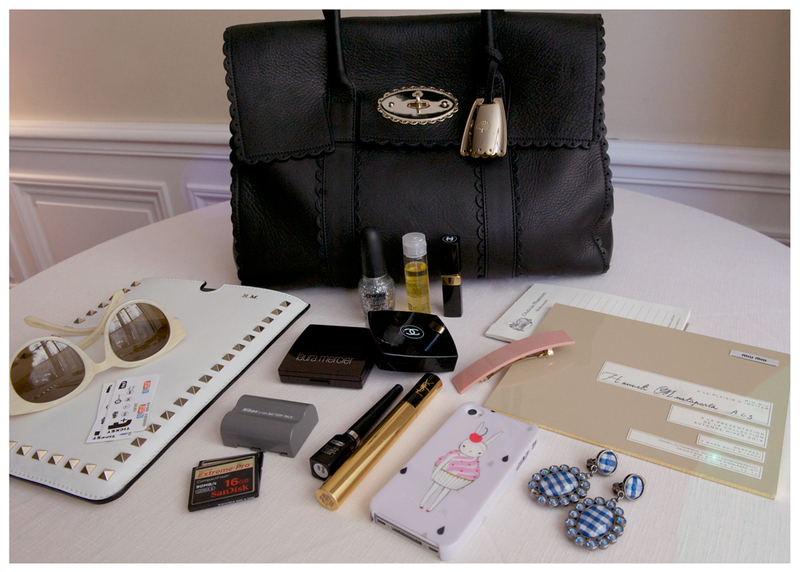 However, when Hanneli Mustaparta posted her purse contents, I was too busy looking at the bag itself. The Mulberry accessory aesthetic is classic. I love how her Baywater’s scalloped edges give the bag a bit more personality. I also happen to be obsessed with scallops in clothing and accessories (as seen by my See by Chloe sandal love). I need to look up Hanneli’s iPhone case too. It’s so cute! I am such a loser, I saw the banner and thought – S C A L L O P S, like food. I crack myself up.